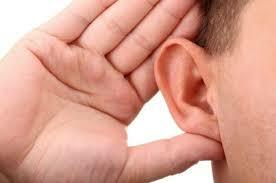 One of the most vital and under-utilized skills of business leaders is the ability to listen. This skill is imperative to those in a position of leadership to those providing service to clients. It is the foundation of engagement. Yesterday I had to call my cell phone provider, my phone and I have a love-hate relationship. It loves to do funky things like not show calls coming through or registering voicemails and I hate it. Just to preface this, I am not a highly functioning technical phone person. When I got my phone, I handed it to my son so he could explain it to me. I talked to a very nice technician who was extremely knowledgeable about the phone and systems but I wanted to pull my hair out during the entire conversation. Each time she would ask me a question I would begin to answer and she would cut me off midstream. There were several times that I had to repeat myself because she assumed she knew how I was going and would take it in a different direction. When she asked me for my phone number for the fifth time, I knew the problem: she might have heard me to a point, but she was not listening. There is a difference in hearing and listening. Too often we “listen” only to respond, not to engage or learn. In the middle of a response there is something that triggers our brain to prepare a response and we stop listening. One way that I have found to improve my listening skills is to ask questions, with a twist. Sometimes asking questions can be taken as being challenging by the other person. Therefore, I add a clarifier and modify it depending upon the audience. Working in partnership with someone or gathering more information when providing service, starting the question with, “I want to make sure I understand…” can demonstrate your interest in the person and what they are saying and build upon the communication. When talking to your boss or an alpha, you do not want to come across as though you are not challenging their authority or being submissive. Sometimes it is best to state flat out, “I am not challenging, I am clarifying because I can see this from a couple of different perspectives…” This also demonstrates that you are not only listening, you are thinking on a deeper level about what they said. In networking it is normally a more relaxed environment and therefore with an understanding of a shorter engagement period, saying, “What does that mean…” in a nice tone can encourage the other person to elaborate and demonstrate interest. In a personal or casual conversation the simple words, “Tell me more” can demonstrate to the other person that you are not hearing to respond, but care enough to let them have the floor. One phrase that I think is a conversation and engagement killer is, “I hear what you are saying.” For one thing I anticipate the word “but” after that statement which totally invalidates the listening aspect and for another, it reminds me of Stuart Smalley. I would also caution against the phrase, “Could you repeat that” as a standalone phrase. It can imply that you were not listening when in fact you perhaps could not hear or understand the person or you did not understand. Simply stating that you did not hear them and then ask them to repeat what they said will not disengage or disrupt the flow of conversation. The lessons, most of the time, had paid off in our house. My son and I have gotten to the point that we acknowledge when we only hear and will say something like, “I heard you but I have no idea what you just said.” I do not recommend saying that to your boss, staff or clients. One last suggestion: pause before answering. When someone response as soon as you finish that last word it is a trigger that they were preparing their answer instead of listening to you. Listening is a skill. It needs to be practiced, repeatedly, to hone it. Keep practicing because it can always be improved upon. This morning I was talking to a client and I caught myself immediately responding. Once I recognized what I was doing I immediately shifted focus to asking questions rather than responding. It resulted in a much more rich conversation. What are some ways that you have found that improve your listening skills? I would love to hear them, I’m listening….